The Wind in the Willows continues its well-loved summer tradition returning to the beautiful surrounds of the Royal Botanic Garden in Sydney playing from Friday 5th to Sunday 28th of January 2018. Kenneth Grahame’s immortal story of life on the riverbank is a rollicking yet gentle adventure, starring the pompous, arrogant, vain, hilarious Toad – a favourite with children everywhere. 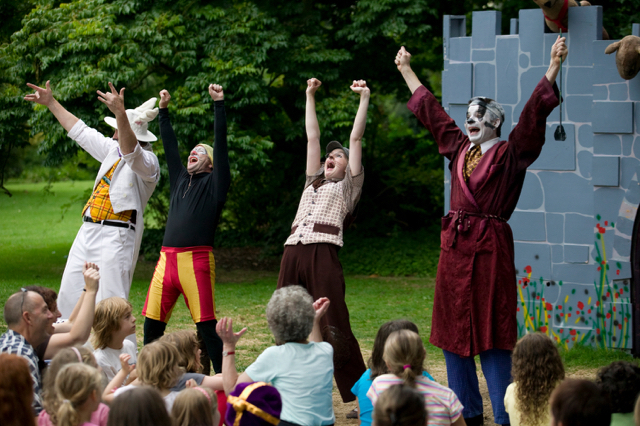 Toad, along with his better-behaved friends, Ratty, Mole, Otter and Badger, as well as the rascally Weasel, have come to life every summer for the past 15 years providing enchanting and lively entertainment for all the family. Tens of thousands of people have delighted in the simple pleasures of this rollicking promenade production over the years, so this summer pack a picnic, pack the kids... and head on down to the riverbank. Showing from Friday 5th January to Sunday 28th of January 2018 (except 26th Jan no show). Times are either 10:30 am or 6pm Tuesday to Sunday. For more information on 'The Wind in the Willows' production or to book tickets (now on sale), head to the Australian Shakespeare Company's website. To celebrate this fantastic production, we are giving away 1 family pass valued at $110 (4 people) for Saturday 6th of January 2018 at 10:30 am. To enter, follow us on Instragram, like our Wind in the Willows Instagram post and tag a friend (we will check). Entries open Wednesday 29th of November and 2017 close Wednesday 6th of December 2017 at 5pm AEST. Entries only open to NSW residents.